A single pane broken window is a hazard and a nuisance and needs to be fixed right away. We strive to fix your single pane window the same day you call. We can replace your foggy windows with new double pane sealed units. The sealed unit is the glass portion of your window or door and over time it can fail. Air and residue can enter the sealed unit causing it to fog up and look dirty. Once the seal is broken, you begin losing insulation which makes your house hotter in the summer and colder in the winter. We can change out your sealed unit with a new sealed unit that comes with a 10 year manufacturer’s warranty. Choosing to replace the sealed unit versus replacing the whole window keeps your cost down significantly. There are many options to choose from including Low-E, tinted, patterned, reflective and argon filled. Patio doors can get sticky and hard to open over time. Your door has value and usually doesn’t need to be replaced. We can service your patio door at a much lower cost than replacing it. Our experienced glaziers can replace the rollers and tracks to make it slide like new and we can replace your broken handles and locks. Switching clear or old-fashioned glass to new contemporary patterned or diffused glass can add value to your home and privacy to your front door windows, bathroom windows and windows with views you would like to mask; while still allowing light to come through. 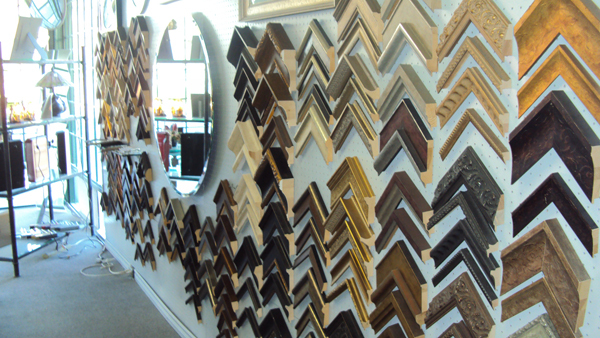 Designers and home owners choose us over and over again to help finish their space with our beautiful framed mirrors. We are able to include cutouts for outlets and lighting fixtures and of course, our installation is exceptional. Our window screens are made by hand in our screen shop with high quality materials. We carry all replacement parts and sell them in our showroom if you want to do repairs yourself. We install screens in your home. We are pleased to give you an estimate over the phone of how much your job will cost. We visit your home to measure your windows and sliding patio doors and come back to install your new screens that are guaranteed to fit. If you have screen frames that are in great shape but the mesh has a rip or your screen doors are not rolling well – we can revitalize them by replacing the mesh, installing new handles and rollers and replacing wickets. We install beautiful, high-end, frameless bifold and bypassing closet doors. We carry framed mirrored closet doors that are sturdy and practical. Beautiful, custom showers. Tub enclosures. 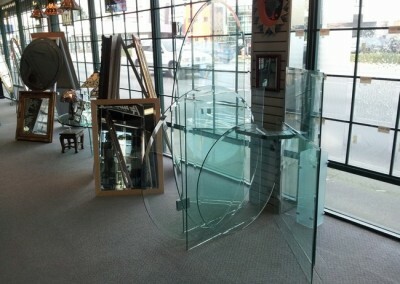 Our experienced glaziers will evaluate and measure on site. Using their plan, our estimator will call you to discuss the details with you. 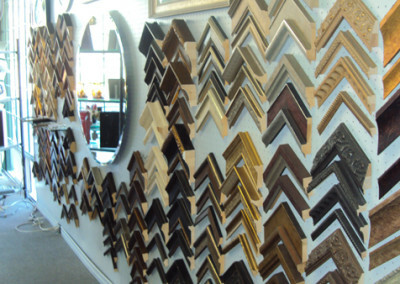 If everything is in order, and you are comfortable with the price and timeline, we will email you the approved quote. Once we have your approval, we will never change the price, the scope of work or the products with out your permission. We stand behind our estimates. We will manufacture your order and come back for installation in timely manner. When the work is complete, we will ask you to sign off on the job and you will be charged the agreed amount. We guarantee our workmanship for one year, and offer a manufacturer warranty on our sealed units for ten years and our Agalite products are guaranteed for life. It is our policy not to disclose our measurements for install by others and we only install and quote based on our own measurements. We are unable to install your own products.